Spring 2014: We are moving! We have bought a lovely piece of property west of Perth, Ontario where we will be creating our new rural off-grid home and farmstead. Thank you to the many lovely Aylmerites and friends that have supported my urban farming adventure. In 2012 we launched our urban CSA (Community Supported Agriculture) program and offered a limited number of “urban shares”. 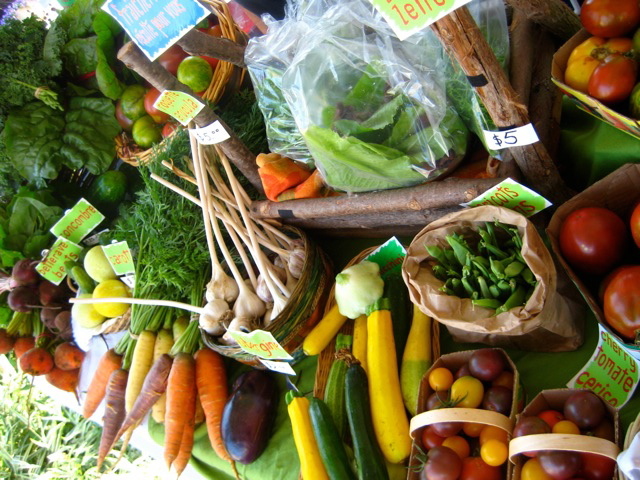 Urban Shares are geared toward those who find the usual large shares offered by “rural” farmers just too much to eat. Urban shares are affordable and for individuals or families that would like to receive a sampling of the farm’s bounty each week. More people leave a CSA because they feel badly that they are wasting beautiful food than because they aren’t getting enough. We’d like to help you finish what’s on your plate by offering an easy-to-eat, delicious, urban share. Of course, if you would like to receive a larger amount of vegetables, you are welcome to purchase two shares. Large vegetables, like cabbages and pumpkins, can be hard to grow in small spaces and also sometimes hard to eat in just one week! We focus on veggies that can be grown well in a small space, using hand-scale methods and that taste great such as heirloom tomatoes and beans, baby head lettuce, arugula and daikon. 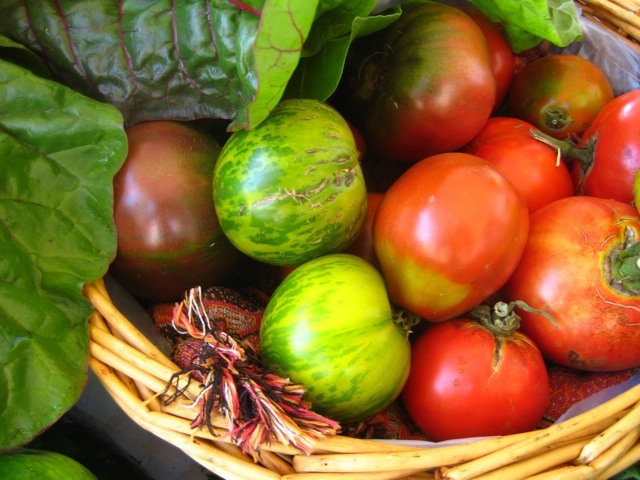 We grow vegetables and herbs that can be harvested and distributed the same day to our members. This eliminates the need for extra refrigeration and storage space on the farm which already exists in your kitchens. In many cases this also keeps the product fresher and more flavorful, and hopefully reduces our ecological footprint. We harvest and wash all vegetables by hand. Our urban shares are available for 16 weeks from late June until early October. Each week there is a fresh variety of seasonal produce in your share. As the seasons change from cooler to hot to cool again, the vegetables will also change, giving you an opportunity to cook and eat with the seasons. You can expect 4 to 5 different types of veggies in your basket each week. Usually, the first few shares are a little smaller with the bounty increasing as things warm up until you are getting tomatoes, eggplant and then later hopefully some storage crops (beets, winter squash) in the fall. Here is an example of what might be in your basket from July – September. If you are interested in joining our Urban Vegetable Share please read the additional information on Community Supported Agriculture first. If you must jump ahead, please find the cost, delivery and sign up information here.